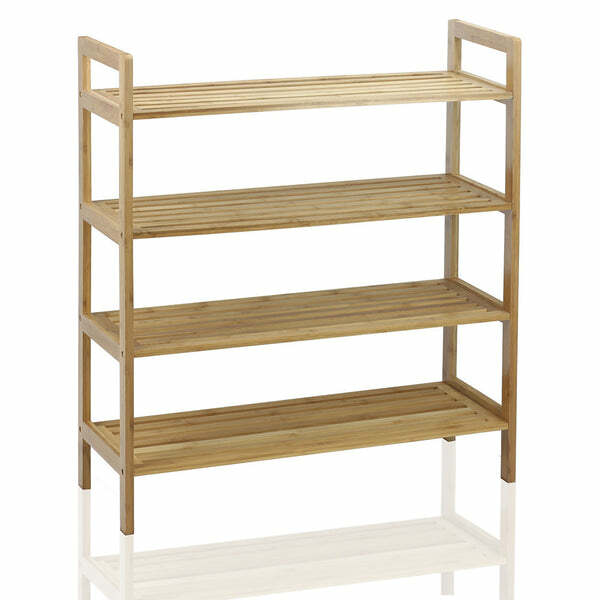 Oceanstar 4-Tier Bamboo Shoe Rack, Natural (bamboo, oceanstar, shoe rack, shoe storage) | Shoe Rack | Oceanstar Design Group Inc.
Be free of clutter and keep your shoes neatly organized with the Oceanstar 4-Tier Bamboo Shoe Shelf. 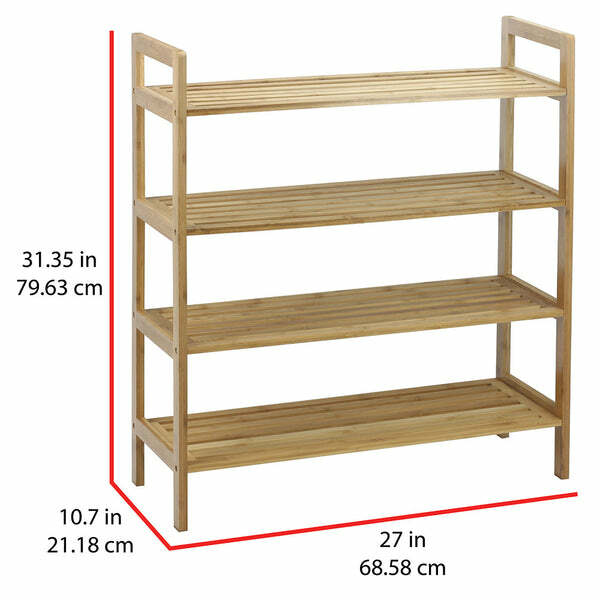 The shoe shelf features all around open slats for optimal air flow to minimize odor coming from the shoes. 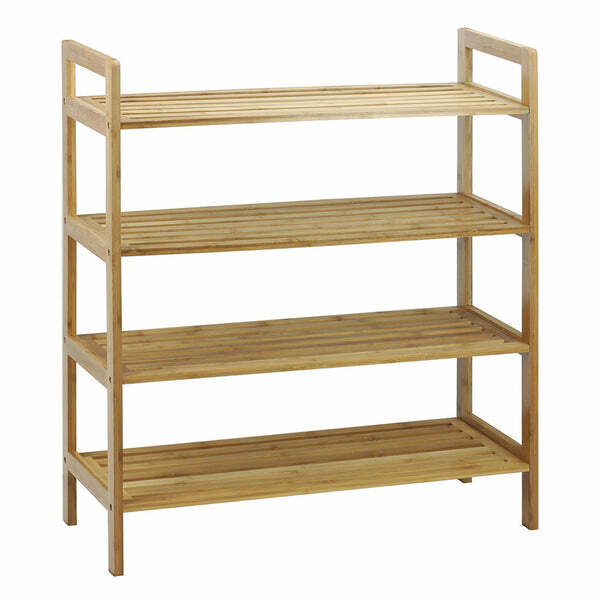 Made from bamboo, it is not only elegantly designed but also sturdy and made to last. 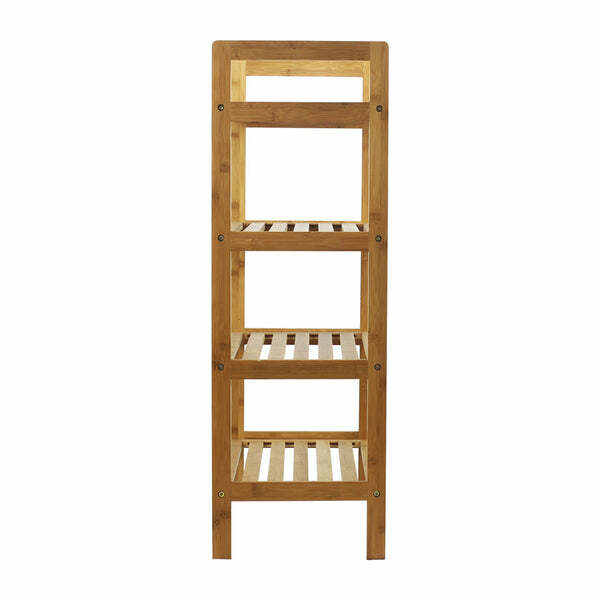 The natural finish of the shoe rack gently balances any interior theme of your home or area. There are two rounded edged handles on each side for easy transportation and compact design for fitting into any space. 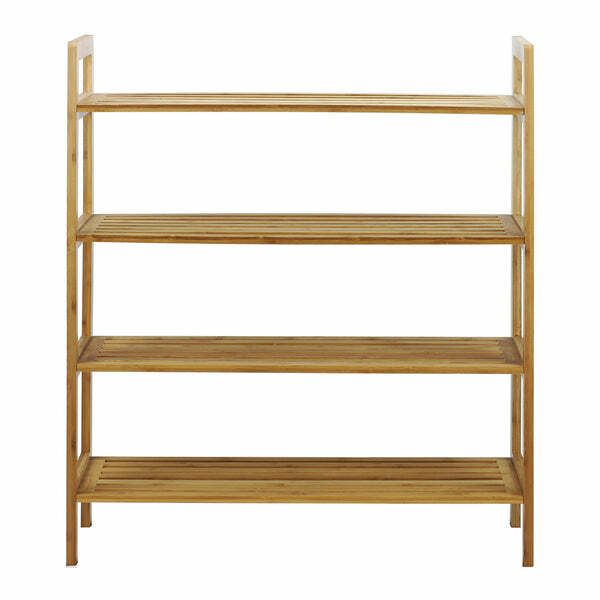 The Oceanstar 3-Tier Bamboo Shoe Shelf will never look out of style and is the perfect solution for all your shoe and organization needs.